Introducing Val Thorens, located in the French Alps' 3 Valleys alpine region. Well-established as one of the world's top skiing destinations, the 3 Valleys is less considered during the summer months, yet offers a fantastic alpine retreat with extensive hiking trails, picturesque scenery and plenty of outdoor adventure. 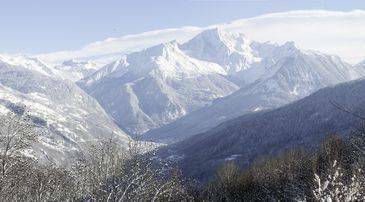 Val Thorens sits at the top end of the valleys, with its neighbouring resorts of Méribel and Courchevel close by. Boasting an altitude of 2,300m, Val Thorens is not only the highest resort in the valley, but the highest in Europe, and opens out into the largest linked skiing area in the world. The area is well connected by advanced lifts, meaning that exploring the wider area is easy to do from any of our properties in Val Thorens. Any three of our locations: Le Chalet Val 2400, Le Chalet Altitude and Résidence Le Cheval Blanc, are situated a peaceful stone's throw from the heart of Val Thorens. All of our residences offer easy access to the lifts, so exploration can begin as soon as you leave your door. Val Thorens is a paradise for sports lovers and nature enthusiasts, and there is no danger of running out of things to do. Skiing is an obvious option during the winter, but there is a great deal more on offer throughout the summer months as well. There are plenty of exhilarating water sports activities to choose from in the area. Several companies offer white water rafting, as well as canoeing and canyoning, with the crystal clear waters of the thawed river a beautiful place to spend summer days. Those feeling braver can experience "La Tyrolienne", the world's highest zip wire with a starting altitude of 3,230m, running 1.3km across the Val Thorens resort, or even try paragliding in the summer months. The Belleville Valley contains over ten lakes and numerous rivers, making it a great place to go fishing. It is compulsory to hold a fishing permit, which can be bought in Zénith Ski Shop in Val Thorens. Hiking is a popular option all year round, with many varying routes available. For a gentler stroll, route Les Pas de Cherferie offers traditional Alpine scenery and is perfect for families, while Circuit des Lacs grants the opportunity to take in the area's spectacular lakes with moderate or more challenging trails. For lakeside views on a shorter family friendly route, try the Balcon des Tougnete track. This particular route is shared with cyclists, and another way to explore the area's outstanding beauty is by bike; there two bike rental stores in Val Thorens alone, and most major airlines allow you to take your own for an extra fee. You might also like to explore some of the villages in the surrounding area. Learn about rural life and values in Saint Martin, situated at the foot of the Belleville Valley. Here you will find Baroque architecture and a well preserved traditional way of life. Visit the Saint Martin Museum, documenting 150 years of the valley's history, as well as Saint Martin Church, which dates back to the 17th century. Heritage tours are also available and will take you on a circuit of the village landmarks. There are also many indoor activities on offer in the area. Bowling de Val Thorens offers eight lanes, American pool, snooker and a sports bar, while Val Thorens is also home to Europe's highest cinema: Cinéma Du Lac Blanc. With two daily screenings and an extra screening on particularly stormy days this cosy cinema is ideal for those who need a break from the outdoors. Take some time out for relaxation by visiting one of the many spas in the area; Altapura offer indoor and outdoor pools, saunas and various treatments and are open to all ages in the daytime and adults only in the evening. Pashmina Spa by L'Occitane is another popular choice, offering treatments for women, men and children as well as an indoor pool, sauna, steam room and two Jacuzzis. Those looking for culinary indulgence need look no further in Val Thorens. 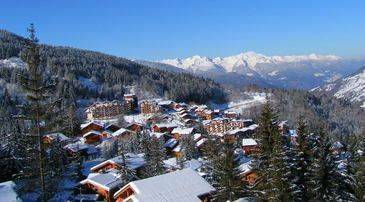 At the foot of the pistes you will find the double Michelin-starred restaurant, Jean Sulpice. Not just for adults, they can accommodate children with simpler dishes and even offer slippers to those arriving straight from the mountain! Alternatively, for a one of a kind experience, visit the rustic, family owned, Chalet Chez Pepe Nicolas. Although slightly off the beaten track, here you can sample authentic, regional dishes, while children are sure to love the resident goats and cows. Val Thorens has a large selection of nightlife on offer, catering to varying tastes. Finish off a day at La Folie Douce with après parties which run throughout the summer, set to incredible views. If you're in search of an all-nighter head down to Malaysia, which is one of the largest nightclubs in the Alps, and has played host to some of the biggest DJs in the world. For a slightly more relaxed approach, stop off at Tango Bar for live bands and cocktails, or if you are looking for sophistication, try The Roy Bar, which is centered on a large rustic fireplace and offers an impressive wine menu. The Val Thorens lift pass covers all of the resort's lifts down to the Plan de L'eau lift. For the Val Thorens area there are several passes available to access the lifts, accommodating different group sizes. It is advisable to buy passes online to avoid queues, which can be lengthy at weekends; however passes can also be bought from tourist offices around the resort. There are a number of childcare services available in the 3 Valleys area so you can be sure that your children are in good hands. ESF Val Thorens provide English-speaking nannies and offer varying activities and itineraries for all ages, caring for babies aged 3 months upwards, and children up to the age of 11 years. Val Thorens is a semi-pedestrian resort and has banned street parking. You are permitted a brief period of time in which you can unload your car, however afterwards you must leave your car in one of the town's car parks. Parking is available at all three Ski France's residences.